Extraordinary Tropical—Grows Up to 9' Tall! This is one plant that is sure to get attention. Massive, bright green leaves soar skyward on strong stems up to 9 feet tall. 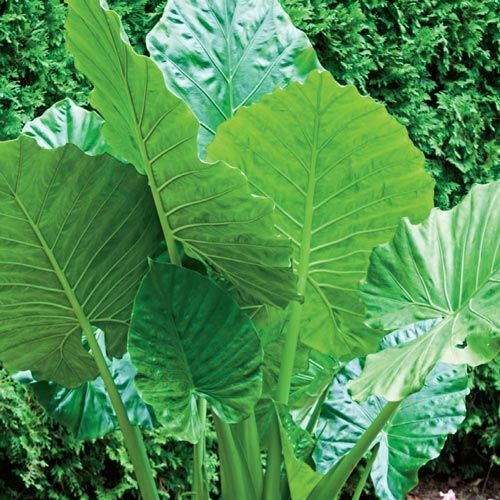 Unlike its cousin, this Elephant Ear variety stands erect to create an even greater focal point or incredible container planting. Move this exotic tropical indoors in winter to avoid the cold weather. Foliage TypeUpward-facing foliage. Very large rounded green leaves. Growth RateFast once established which takes approximately 4-6 weeks. Winter CareIn areas that go below 45 degrees F, rootstock should be dug up and over wintered in a frost free location. A deep mulch can extend the range where it can remain outside. 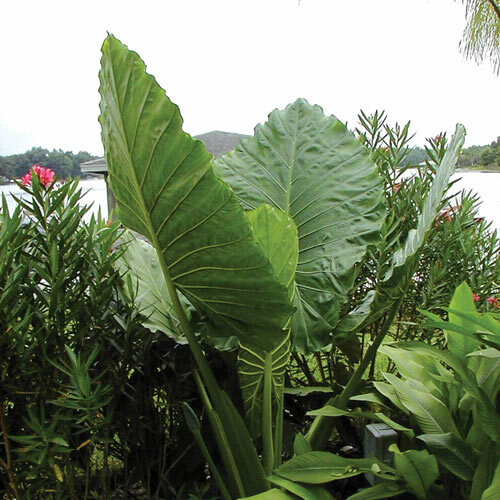 Additional InformationAlocasia are heavy feeders, provide water soluble fertilizer every 2-3 weeks and water regularly. 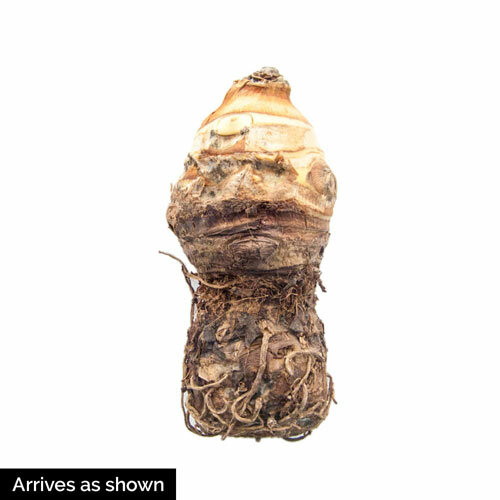 Lift tubers and over winter in a frost free area. Replant after last frost in spring.